Happy Thursday loves! Lydia and I have been talking about how we so appreciate your every comment, email, Facebook post and tweet. You’ve made writing this blog a rewarding experience for us at A & O and we thank you. But we’d really like to thank you with a gift. Which is why this first ever A & O giveaway is actually a gift from both of us to (one of) you. Would that we could give it to you all. We’re giving one reader our three favorite kitchen tools, all from Crate & Barrel. The first indispensable kitchen tool is the OXO stainless steel and nylon tongs seen above. Lydia and I keep several pairs in our kitchens because when we’re together we each need one if not two—for flipping our meats and vegetables, for plating salads and sides, for tossing pasta and nudging hot pans out of the way. Tong devotées think of them as an extension of their own arms. 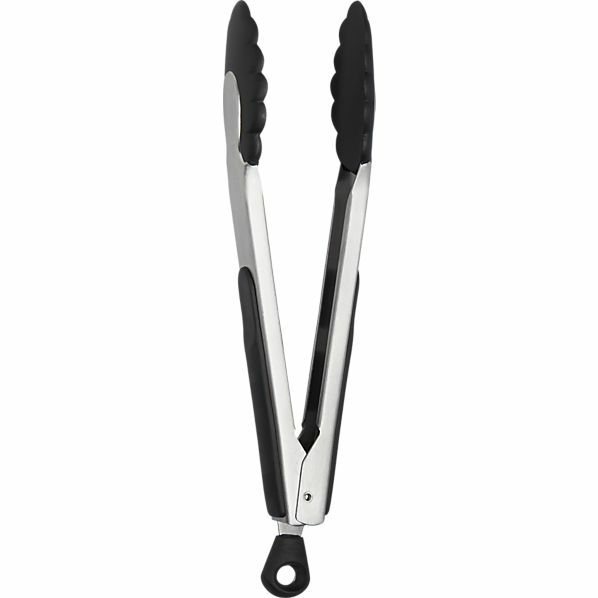 OXO makes the most comfortable and good looking tongs of all. 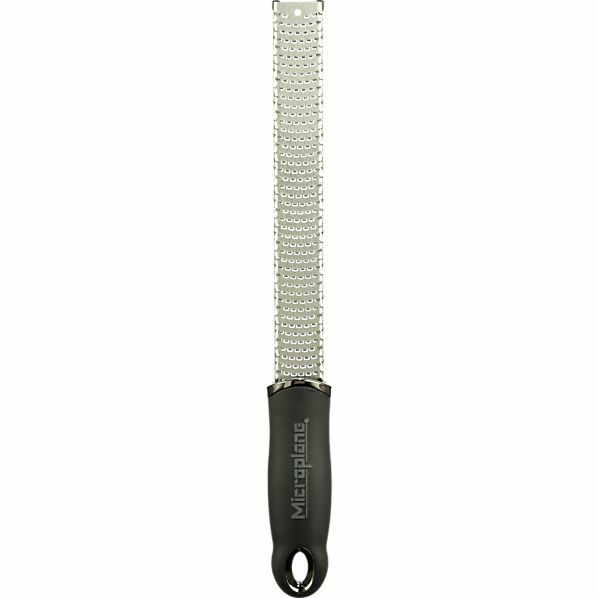 Second, we have our Microplane grater-zester. An invention that seemed revolutionary just a few years back has now become a necessity. No more must we struggle to protect our soft finger pads while zesting citrus or adding fresh nutmeg to our pumpkin pie. This fab tool also grates Parmesan into a beautiful soft snow. 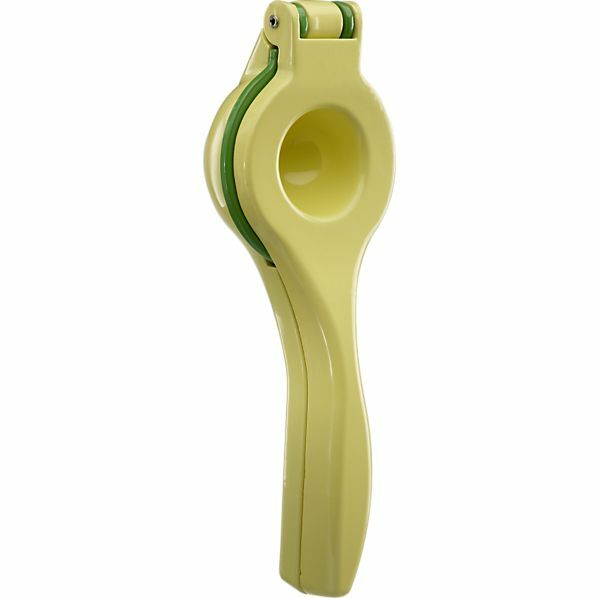 Last but certainly not least we have a dual citrus squeezer, an absolute must when you make as much vinaigrette as we do or like to enliven your soup and fish dishes with a drop of acidity. The squeezer adds force to your natural squeeze and the cup–which adorably resembles the citrus you’re pulverizing in your now-mighty grip– keeps those pesky seeds from falling onto your plate. If you’d like to add these ergonomic workhorses to your collection, tell us below—what is your favorite kitchen tool and why? Comments will close at midnight Pacific time this Friday, November 5th. We’ll then choose a winner at random and make the announcement after he or she has been notified next week. Giveaway is open to U.S. residents only. If you’d like a double entry, follow us on twitter or subscribe to our RSS feed within the same time-frame and we’ll enter your name a second time.